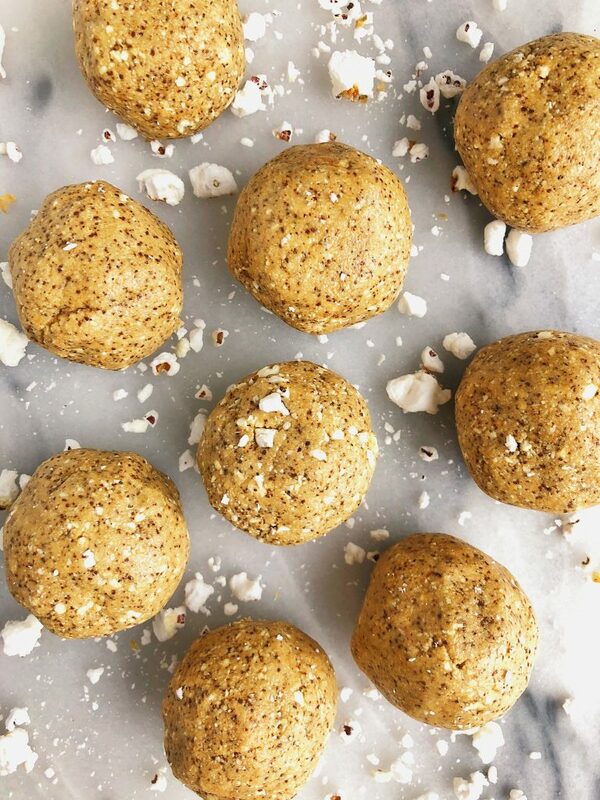 Fatty Coconut Snack Bites made with no added sugar and popcorn for an extra crunch factor! You are likely seeing a million types of balls and bites and fatty snacks on instagram every single day. These easy homemade snacks are taking over and that is for a reason you guys, they are dayum GOOD. I have been making bliss balls of sorts since before I started blogging. 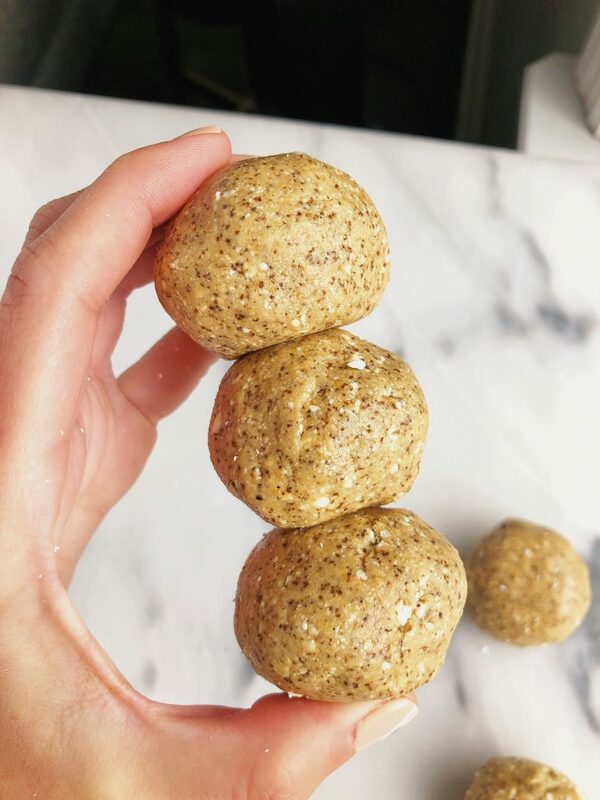 I used to add oatmeal, peanut butter, chia seeds and whatever else I had on hand into a bowl and form into little oatmeal balls. Having little snack bites/balls on hand gives us easy, fast, REAL food. 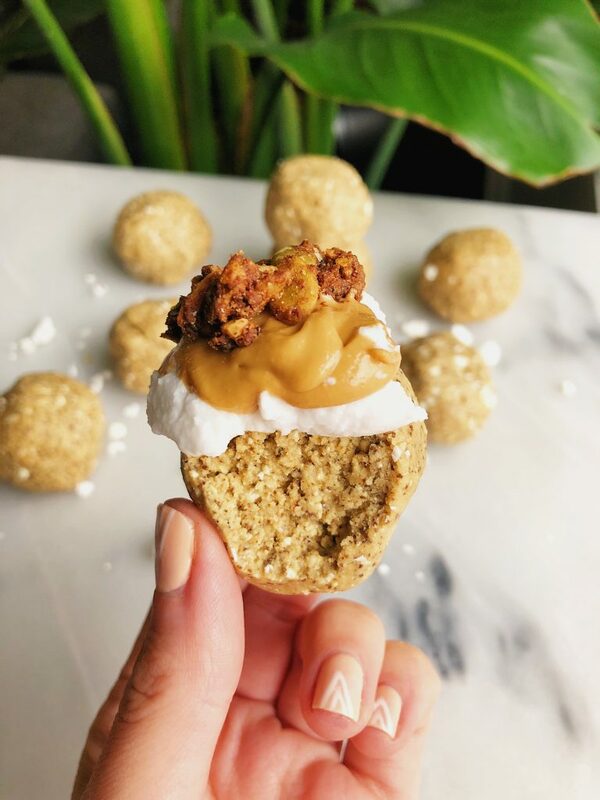 I love these Fatty Coconut Snack Bites because they are made with all healthy ingredients (shocker) and they have no added sugar to them. These look PERFECT. I love that they are made with such simple ingredients. I make things like this all the time for my clients & the LOVE it. Shoutout to YOU for the recipes haha.